Home » Latest Posts » Spoilers » WWE Slam Crate October 2016 Spoilers! WWE Slam Crate October 2016 Spoilers! 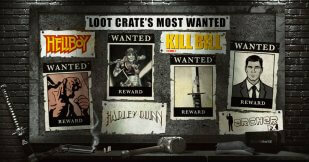 The WWE Slam Crate from Loot Crate is coming soon! Order by October 15th at 9pm PT to get this first box – the price is $29.99 per box + shipping. It’s only fitting that our first WWE Slam Crate theme is THE FIRST! Remember the first time you saw a match, or the first time a superstar made you shout “This is Awesome!”? We’re bringing you a crate full of amazing and exclusive “firsts” in the WWE Universe, including an Austin Aries Topps card (100 of which are autographed by Austin Aries) and a magical New Day collectible. Are you going to get slammed with WWE in October? The WWE Slam Crate is perfect for fans who crave exclusive content and products. 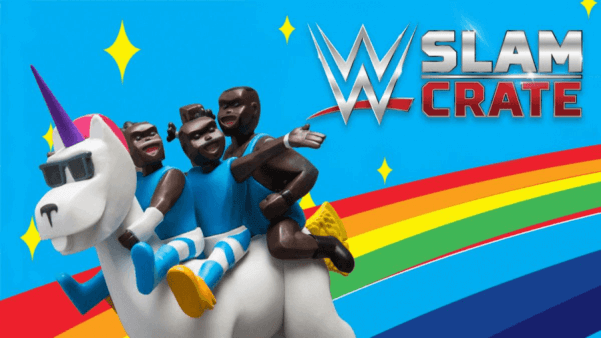 The subscription box will include an all-new exclusive WWE Superstar collectible line created just for WWE Slam Crate, 4-6 mystery items, including apparel, collectibles that have a “$60+ retail value in every crate”.